Work for a global organisation with offices in North America, South America, Asia, Oceania and Europe. When you join C.H Robinson, you become part of a international network and develop close connections with your teammates across the world. In each of our offices, you will experience the same international and entrepreneurial culture. 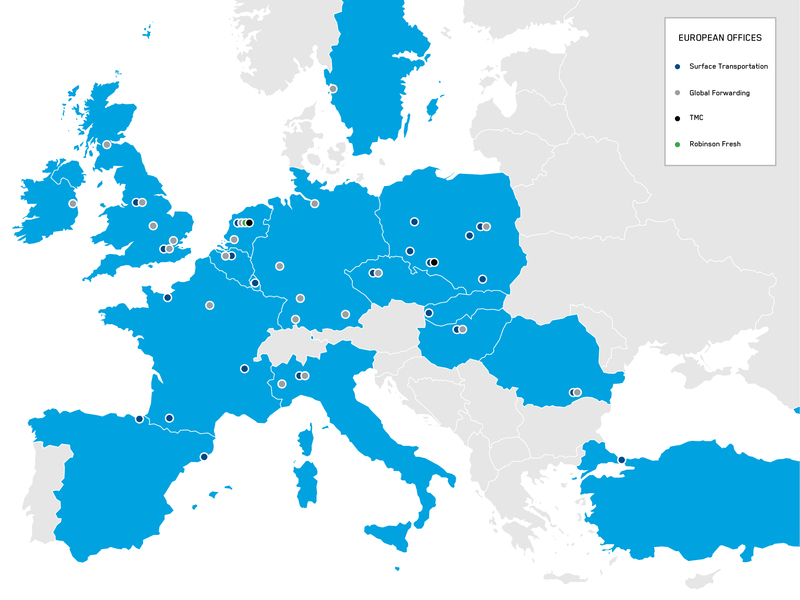 With offices in 16 countries, we are looking for new colleagues all over Europe. Our corporate teams and Robinson Fresh division are located in our European headquarters in Amsterdam. The roles in these divisions benefit our entire network of offices around the world. In addition, we have 48 transportation and global forwarding offices across Europe. If you are an energetic person who feels driven to make decisions, you will thrive in our entrepreneurial work environment. Our branches share the same international, supportive and performance-based culture. You will feel the energy the moment you walk in the door. Come meet us in one of our locations.